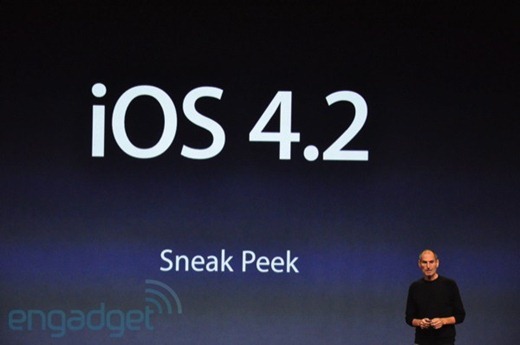 Apple has just announced iOS 4.2 for iPad, iPhone and iPod touch. It will be available in November of this year as a free update for all. Because of hardware limitations, not all the features will be available for all the iOS devices. iOS 4.1 on the other hand will be available for free next week for iPhone 4, 3GS, 3G and iPod touch. More updates as they come.. stay tuned !!! yea exactly, what is airtunes ??? Very disappointing apple, i fell in the stone age with my pad.